One of the foundations of an effective observation system is for university supervisors and cooperating teachers to be calibrated on the feedback they are giving to field teachers. The Insight team helps observers provide quality and more timely feedback reports. 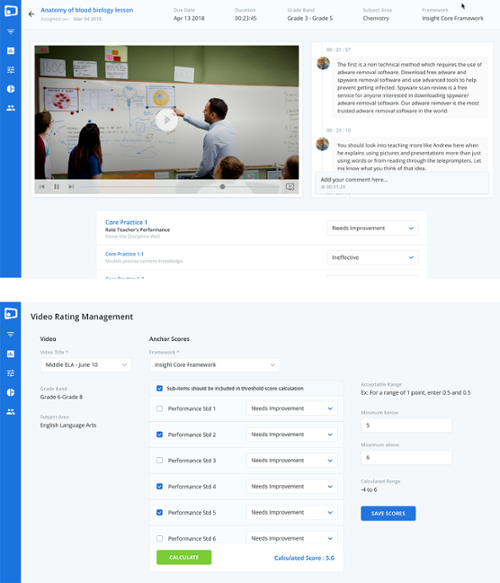 Through PD and video-based training experiences observation platform (Insight ADVANCE), Insight trains observers to consistently identify what great instruction looks like and recognize opportunities for growth through the authentic application of relevant frameworks and rubrics. Insight ADVANCE also provides a way to increase the number of observations that can be done through video-based observations.